Waking up on Easter morning and running out to see what the Easter Bunny left you is a memory that most people have. Along with hunting for eggs, Easter is synonymous with chocolate bunnies. When shopping for Easter candy this year, you can make a choice to help donate to a worthy cause. Read on to find out more. The Lindt GOLD bunny is turning 60! Chocolate bunnies are a staple when it comes to Easter baskets. This Easter season, as the Lindt Gold Bunny turns 60, Lindt will donate 10 cents to Autism Speaks for each bunny sold in the U.S., so you can help give back as you fill up this year’s Easter basket. 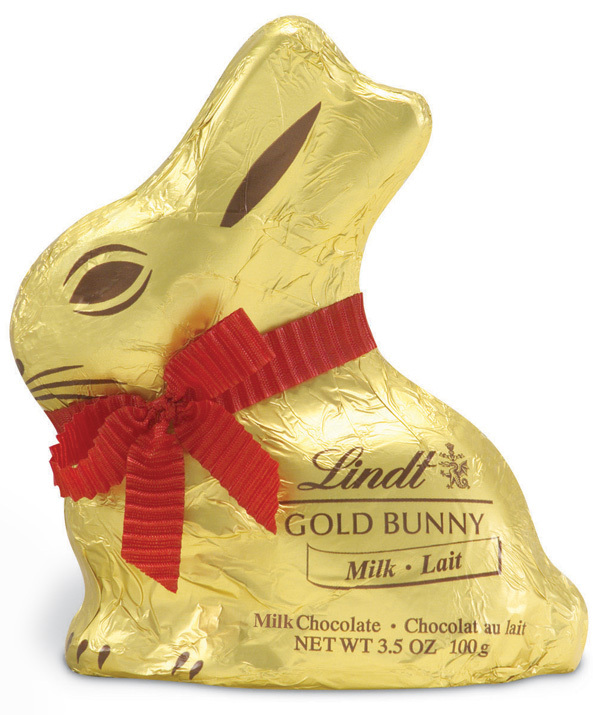 March 8, 2012 marks the first Lindt Gold Bunny Day. To celebrate, each Lindt store across the country will be giving away a 3.5 ounce milk chocolate bunny to the first 500 customers (more than 30,000 bunnies total), along with a 20 percent off coupon. As part of the celebration, Lindt has partnered with Autism Speaks for the fourth year, donating more than $125,000 from sales of the gold chocolate bunny. In addition, March 8 also kicks off the Lindt Gold Bunny Celebrity Auction, auctioning off porcelain versions of the bunny that have been adorned with celebrity signatures. The auction runs through March 18 with 100 percent of the proceeds going to Autism Speaks. In total, Lindt has raised more than $325,000 since 2009 for this important cause.